Waterman Edson pens have this characteristic form that makes them simply impressive. 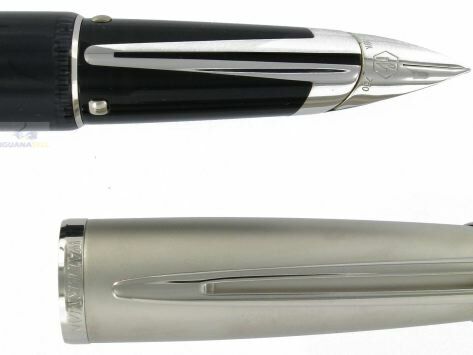 A dynamic, smooth and exotic look that gives these pens a distinctive personality among other fountain pens. These pens are finished in resin and come with precious metal caps. 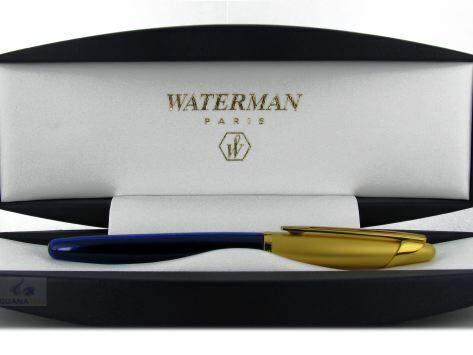 The Waterman Edson Diamond Black fountain pen includes a rhodium plated 18K gold nib. The body is finished in black resin, with that curved, elliptical form. 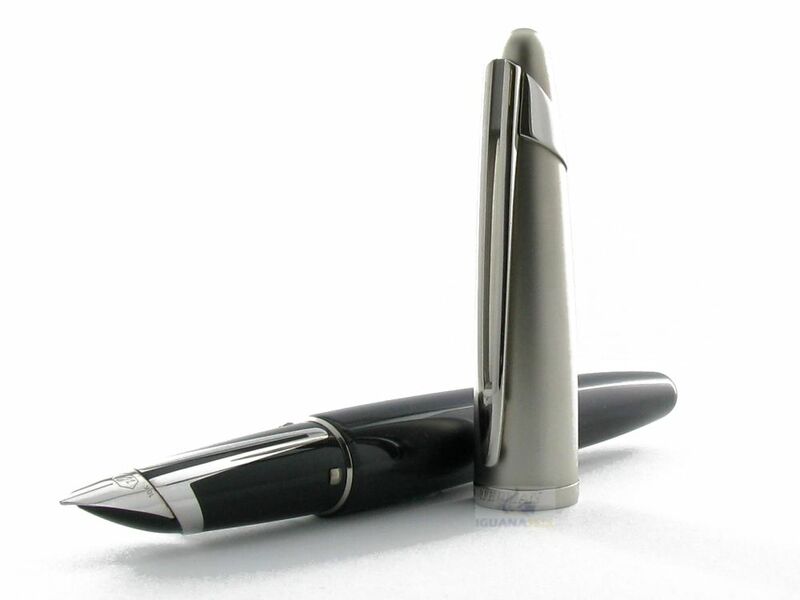 The nib is made to be a continuation of the body, giving the appearance of one solid piece. The grip section has platinum plated trims, that go in line with the platinum plated cap. 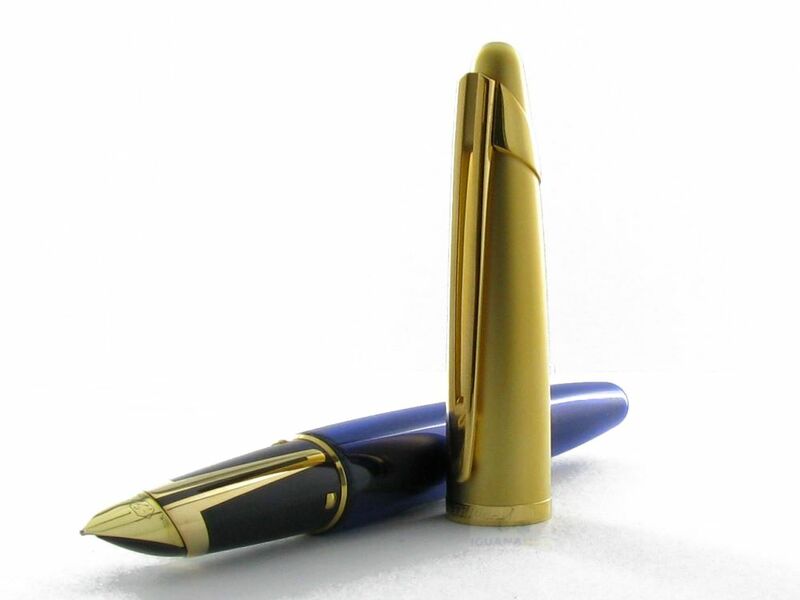 The Waterman Edson Blue Gold is finished, as the title indicates, in blue resin and gold plated trims and cap. The brand’s name is engraved on the central ring. The cap offers a very nice design that combines brushed gold on the greater part of the surface and shiny gold on the clip and trims. The elegance of these pens is remarkable, a unique style that Waterman has developed through the years and that has given them a strong advantage with respect to other brands. Preview : Montegrappa Fortuna Pens!Aurora Aurea Minima Pens – A tiny delight!